Wonder no more what an atom looks like. 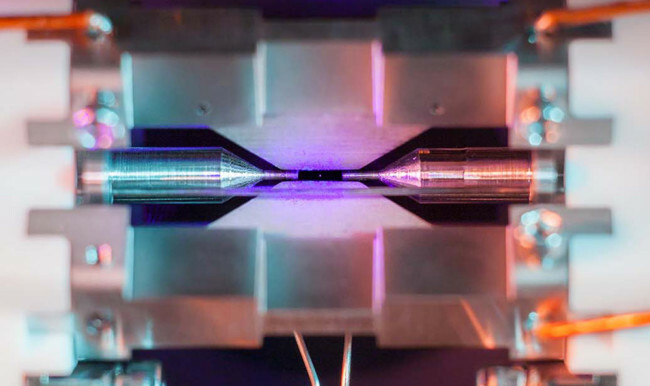 David Nadlinger, a physicist at Oxford University, has taken a photo of an atom suspended in an electric field. The incredible thing is that this atom is visible to the naked eye. Well, we can the light emitted from it. 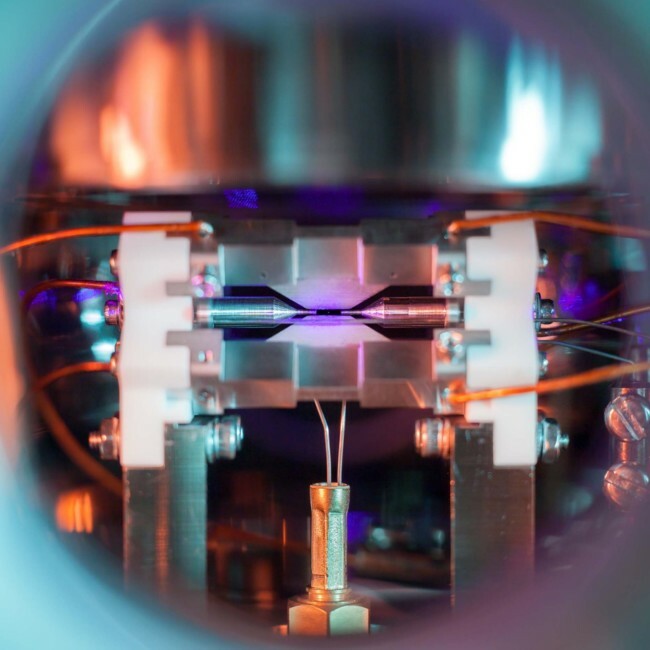 The image, “Single Atom in an Ion Trap”, won Nadlinger top prize in UK’s Engineering and Physical Sciences Research Council (EPSRC) science photo and imaging contest. If we zoom in, you can see the atom – it’s the small dot in the centre of the photo.